Anna Campbell co-founded Applied Learning Science with Tom Cohenno to expand their reach and impact as learning professionals. As the industry evolves, a broad focus on implementing best-in-class learning and assessments solutions that truly drive the safety of all employees in the energy sector is more critical than ever. Anna has over 10 years of experience driving organizational performance and employee safety through the use of employee assessment and training tools. As an HR consultant, Anna has partnered with all levels of management to develop strategies to enhance performance by deploying assessment tools to address specific business requirements. She has extensive experience overseeing large scale efforts to develop legally defensible selection systems as well as implementing competency-based performance management tools. Anna received her Bachelor’s degree in Psychology from George Mason University and her Master’s degree in Industrial and Organizational Psychology from Michigan State University. She has published several articles and book chapters related to employee hiring and assessment in the Journal of Applied Psychology and the Handbook of Personnel Selection. Tom Cohenno is a co-founder of Applied Learning Science, a company that partners with organizations to implement workforce development solutions that prepare technical employees in multiple profit and non-profit sectors. Informed by his many years of experience and education, he helps organizations design and execute learning and workforce development solutions through a comprehensive, scientifically validated approach. He is developing strategic partnerships with equipment and training vendors, as well as academic institutions, to decrease overall training costs. Tom is an experienced utility and learning professional, starting at Southern California Edison after being discharged from the US Navy in 1983. After an initial tour in power plant operations, Tom transferred to the Transmission and Distribution Business (T&D) unit where he specialized in electrical operations for the first half of his career. He had both line management and staff responsibilities. After earning a graduate degree in Human Resources, Tom worked in Labor Relations. He subsequently earned an MBA and a Doctorate in Education (with an emphasis in corporate education and OD) at Claremont Graduate School and Pepperdine University, respectively. He then served as the Principal Manager of Training for the T&D business unit until becoming the Director of Learning, Leadership and Org Development for SCE. He retired in 2015 to start Applied Learning Science. Marcy Willis is a change agent with exceptional acumen in all aspects of training, organization development and leadership coaching. Her passion for supporting diverse individuals, teams and organizations through the change process, is matched by her personal warmth, creativity and genuine devotion to driving the success of every initiative that she touches. Her consultative vision provides clients with navigational guidance through the murkiest of ambiguities. Strong analytic and evaluative skills have been honed by years of experience, leading to improved client performance and effectiveness. Clients view Ms. Willis as a trusted partner. Marcy recently concluded a 4.5 year tour with Southern California Edison as a Training Program Manager in Human Resources. Ms. Willis was a key player in the transformation of a critical technical training organization, by managing the systematic redesign of two separate 3-year job skills training programs for Apprentice Linemen. During that time, she also provided team building, coaching and facilitation support for leadership development, which improved team effectiveness and communication skills for clients in Customer Service, Engineering, and the electric power lines. She facilitated leadership development modules for new-to-role supervisors and managers. She is currently leading the development and implementation of a 360-degree assessment for a major California educational system. This includes the coaching support necessary to implement individual development plans. 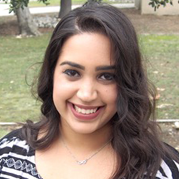 Ms. Willis earned her Master’s Degree in Organizational Behavior and Evaluation from Claremont Graduate University. She is a Certified Professional Co-Active Coach and holds certifications including: Prosci Change Management, Myers-Briggs Type Indicator, DiSC, EQ-i 2.0, Risk Type Compass and Insights Discovery. Greg Cole is a project manager and instructional designer with over 15 years of experience managing, designing, developing, and delivering effective training solutions. He is experienced with leading teams in the creation and delivery of instructional media ranging from traditional lecture settings to interactive web-based courseware and electronic performance support systems. His approach goes beyond the typical consulting assessment process in order to gain a deeper understanding of an organization and create a genuine impact. 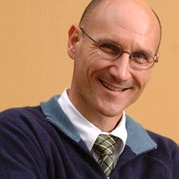 Tempered in both public and private sectors of corporate training, Greg has worked with military pilots, engineers, and information technology experts using a comprehensive method that involves all levels of an organization to develop an aligned culture, which ensures maximum buy-in and positive change. He believes the bridge from concept to implementation is formed through a systematic approach that is not only integrally tied to best practices, but also continuously demonstrates for the client what each step of success looks like. Greg earned both his Bachelor’s and Master’s Degrees in Education from San Diego State University. During his studies he was selected by the Director of SDSU's College of Education to conduct an expansive evaluation of the Joint Doctoral Program with the University of San Diego. 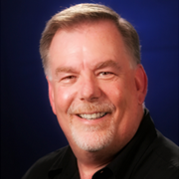 John Luttrell is a pioneer in the field of multimedia communication with over 30 years of experience producing content and managing training and technical communication projects. His solutions and methodologies have helped some of the world’s most recognizable Fortune 500 organizations in a variety of industries to communicate more effectively with their audiences. During the emergence of the fields of Internet technology and streaming media in the 1990s, John developed a process called Integrated Multimedia. This process transforms presentations and classroom training into dynamic, engaging online content. Using a methodology he coined “The Taming of the SME,” John collaborates with subject matter experts to capture their expertise and translate it into the development of content that is relevant and applicable. This scenario-based approach, combined with connecting the design to job role-related competencies, results in learning that is targeted and has measurable results. A graduate of DeVry Institute of Technology in Phoenix, Arizona, where he studied Electronics Engineering Technology, John is a self-professed tinkerer and loves to dig deep into technology to find solutions. He also studied at MIT in a program called “Communicating Technical Information.” John is a Windows Media Solutions Provider and has spoken about his process and methodology at industry organizations such as the Association for Talent Development (ATD/ASTD), the International Society for Performance Improvement (ISPI), and the Pepperdine University Graziadio School of Business and Management. Neesha Daulat is an organizational development and culture enthusiast as well as aspiring practitioner. 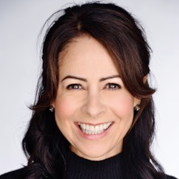 She offers a wealth of innovative and unique knowledge including behavioral neuroscience, education, and positive organizational psychology. Before beginning her budding consulting career, Neesha taught high school science, worked in a student-run leadership development consulting firm, and interned at Morning Star Tomato Packing Company. Through her teaching experience, Neesha gained exemplary skills in developing and facilitating training sessions. While involved in the student-run consulting firm, she administered 360 degree assessments and organized an assessment center for Getty Leadership Institute Fellowship affiliated museum leaders. During her internship, Neesha worked on a number of organizational culture and colleague development initiatives including redesigning and rewriting the employee handbook and evaluating the current state of the self-management culture. The notable projects that Neesha has worked on at Applied Learning Science include assessing HVAC programs offered in a number of California Community Colleges, designing an instructor preparation course, and developing survey items for 360 degree assessments. Neesha has earned a Bachelor’s degree in Behavioral Neuroscience from the University of San Diego, a Master’s in Education from the University of Nevada-Las Vegas, and a Master’s in Positive Organizational Psychology and Evaluation from Claremont Graduate University. She is currently pursuing a PhD in Positive Organizational Psychology from Claremont Graduate University. Her research focuses on occupational well-being, leadership, and culture. Sevelyn VanRonk has her Master’s degree in Positive Organizational Psychology and Evaluation from Claremont Graduate University. She is currently a PhD student, an Organizational Development Consultant at Applied Learning Science, and a Professor at Cal Poly, Pomona. Sevelyn is passionate about helping organizations use evidenced-based practices to improve their organizational culture, employee retention, and productivity. She is particularly interested in leadership, team work, competencies, skill development, and proactivity at work. William Tutton has over 17 years’ experience in Instructional Design with an emphasis on eLearning working for diverse organizations including Yahoo!, the University of Southern California, Southern California Edison, and TRC Companies. Before that he was a professional musician and did a summer stint with the Los Angeles County Department of Agriculture in 2000 when he trapped what became known as the Inglewood Gypsy Moth. He was born in Buffalo, New York and educated at the Buffalo State Teachers College before moving to SoCal in 1985. Jonathon Stearns is a film maker and multimedia designer. His experience ranges from commercial production to instructional design, with specialization in animation and motion graphics. He has owned and operated production company Channel B4 since 2001, with clients including Harley-Davidson, Deloitte, Heath Net, United Airlines, California Institute of the Arts, Marriott, and many others. In 2017 he served as the Director of AV for animal rights organization PETA. He also creates original creative content and his works have been featured internationally. Since 2018 he has been on the production team at Applied Learning Science creating multimedia content, and conceptualizing / developing immersive learning content. Rachel Bravo earned her Master’s degree in Industrial Organizational (IO) Psychology from California State University, San Bernardino and published her thesis on addressing implicit biases against older workers. In addition to her IO background, she also utilized her analytics skills in market research to gain a better understanding of consumer needs for clients in the entertainment and pharmaceutical industry. Rachel has a passion for research, data analytics, and organizational development with the hopes of publishing more research in the future that will help bridge the gap between science and practice. Jose Rodriguez is an unshakable optimist who believes in a bright future and on the ability to build it together alongside his clients. With a vision to change the way businesses think, act, and operate, Jose works with leaders and organizations in various industries to help transform company culture, develop the individuals in them, and ultimately create a better working world. As a trained Industrial/Organizational (IO) science practitioner, Jose discovers remarkable patterns about how the greatest leaders and organizations think, act, and communicate. Strong research and analytics skills have set a sound foundation, providing strategic, unbiased, and objective advisory services for clients to improve effectiveness and overall performance. He collaboratively partners to aid in professional development for the success of California Community Colleges via his leadership, training, and organization development skills. The development of resources and tools for professional development are curated and disseminated to inspire people to do the things they aspire to do, better. He is currently leading, deploying, and implementing an organizational wide technology initiative for all electrician apprentice lineman trainees at Southern California Edison. This new change is also being closely monitored and managed to maintain the current company culture intact. After acquiring a history of professional experience, in addition to providing consultative services, Jose also teaches I/O Psychology to undergrads at a local private university. Jose earned his Master’s Degree in Industrial/Organizational Psychology (M.S. ), and his Bachelor’s Degree in Psychology (B.A.) with a minor in Human Resources Management, both from California State University, San Bernardino. 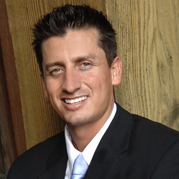 Eric Cazares is an analytically minded Learning and Development Consultant. He is enthusiastic about data and appreciates when he can leverage his knowledge to inform data-driven decision making. He has previously worked at the San Francisco Public Utilities Commission (SFPUC) helping spearhead their competency model initiative where he worked alongside various workgroups, ranging from Payroll Professionals to Wastewater Stationary Engineers, to develop competency models used for performance management. Before beginning his career, Eric interned with the Office of Institutional Research at California State University-San Bernardino performing data analyses to support planning, enrollment management, and ad hoc request. He is currently working on developing an Immersive Learning Lab (Virtual and Augmented Reality) at the Los Angeles Community District and oversees the evaluation approach for the Testing and Commissioning Power Academy at TRC Solutions, Inc.
Eric received his undergraduate (Psychology) and graduate (Industrial and Organizational Psychology) training from California State University-San Bernardino. Lindsey Campbell graduated from James Madison University with a B. A. in Writing, Rhetoric, and Technical Communication with a concentration in Technical and Scientific Communication and a minor in Philosophy. Despite her technical background, she published her Honor’s Thesis on genre theory, specifically on how an understanding of a genre organizes communicative activity and allows an organization to define, organize, and effect its purpose. She has a passion for work which allows her to combine genre theory and rhetorical practices with technical subject matter to produce meaningful, usable content. Lindsey has had a variety of professional roles including Content Editor for the JMU Drones Challenge and the Documenting Black History: The Legacy of Lucy F. Simms exhibit and Senior Editor for the James Madison Undergraduate Research Journal. She has worked in the restaurant industry for three years in roles ranging from server to General Manager. She is currently a Learning and Development Consultant for Applied Learning Science. Heather Courtney is a Learning and Development Specialist with Applied Learning Science. Heather’s background is in providing support for community services. She has worked for West Virginia University 4-H Extension, the library system, and the primary school systems in her community. Heather has a certificate in Human Resources and serves as the Human Resource Manager, Office Manager, and project overseer. Heather Courtney enjoys learning new things, baking, and reading. She is a devoted mother of three great children. Heather’s goal is to help her work life, community life, and family life be enjoyable, fun, and productive.